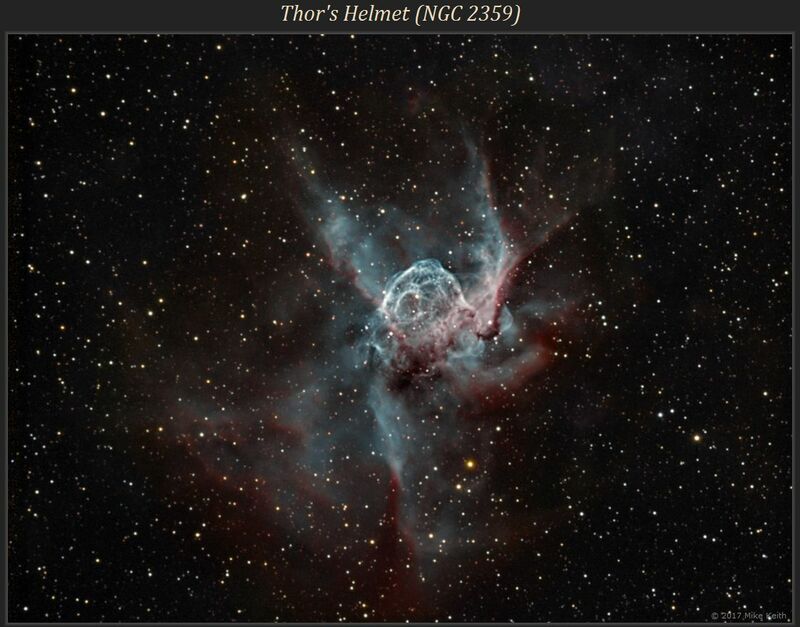 NGC 2359, known as Thor's Helmet, is a bubble-like nebula thought to have been created by expelled shells of material from a Wolf-Rayet star. 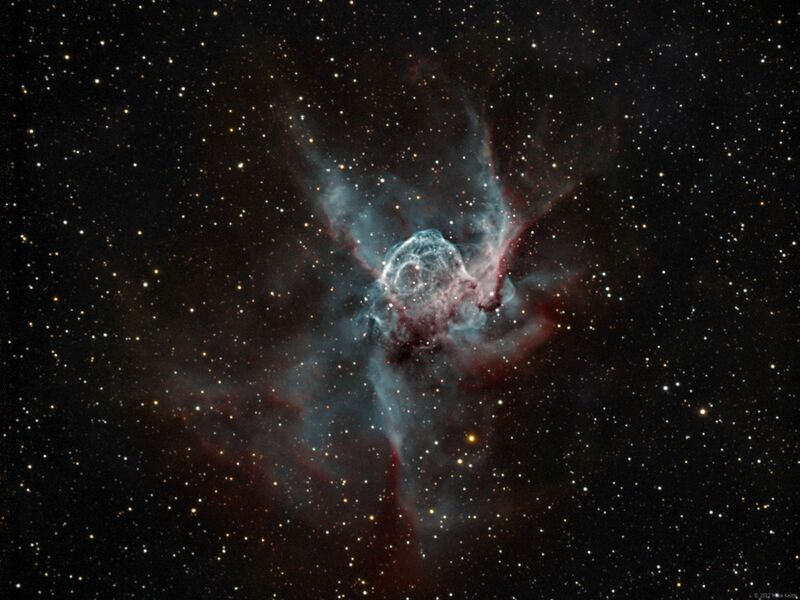 It is located at around -13 degrees declination in the constellation Canis Major. This is a 4-hour bicolor narrowband image with 2 hours each of H-alpha and O-III.